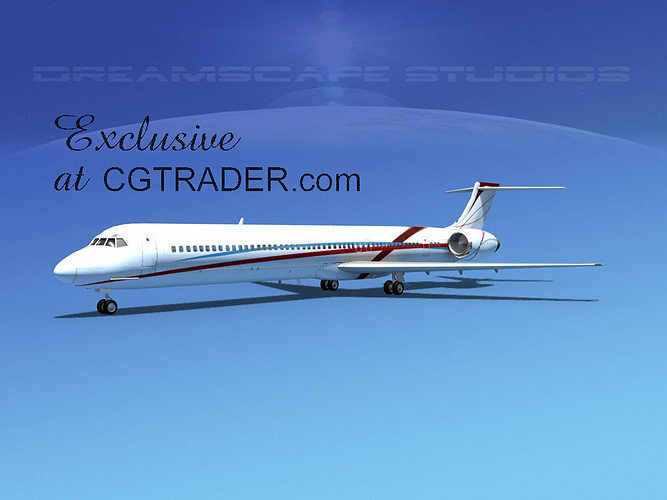 The DS-9-120 is a generic jetliner aircraft designed by Dreamscape Studios to have features common for 1980s-1990s era aircraft. This jet would have a capacity of between 120 and 135 passengers in 1-3 classes. This model is built near to scale and fully textured and has a lot of exterior detail. It has many animateable features including turbines, landing gear retraction, landing gear doors, inboard and outboard flaps, ailerons, elevators, and rudder. It includes files for download in a wide variety of formats.